Why We Ask. Life Insurance Matters. Here is a moving video courtesy of Pekin Insurance on the importance of Life Insurance for you and your loved ones. A new widow left with inadequate life insurance urges every family to make sure they have enough. In this Pekin Insurance video, new widow Catina Lawyer says that life insurance matters for everyone, even younger people, and explains what a difference good life insurance would have made for her. Please contact Beck Insurance Agency today for a life insurance review. Click or call 877-446-2325 today. Posted in Blog | Comments Off on Why We Ask. Life Insurance Matters. What’s better than a day on the lake? Safety tips to make sure you have as much fun as possible while staying safe. Fishing. Swimming. Sailing. These are but a few of the fun things you can do when you take your boat out on the lake. Safety tips can add to the fun by ensuring you and your friends don’t get injured or have an accident, leaving you stranded. Because no matter how much fun you have on the water, it feels good to get home and crawl into bed at the end of the day. For some boaters, lake safety tips might not seem especially relevant. Waters are generally calm, visibility is excellent, and you’re probably just cruising. 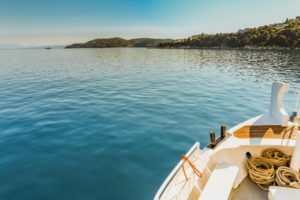 The reality, however, is that the majority of boating accidents happen on sunny days in calm waters. And according to the U.S. Coast Guard, accidents in lakes, rivers, ponds, and reservoirs account for nearly ten times as many accidents as those that happen in ocean waters. This isn’t meant to scare you, though. Being aware and informed are essential parts of having fun. 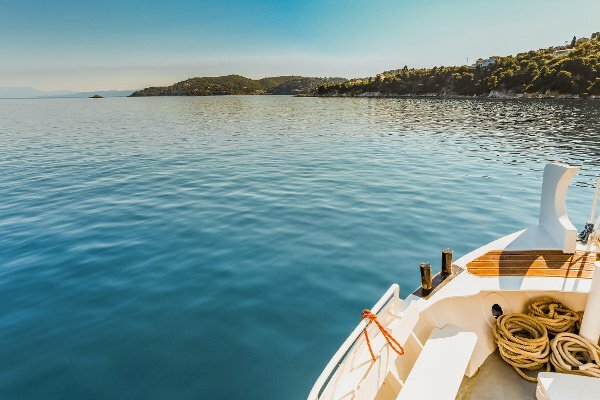 Follow these tips for a guaranteed good time on—and in—the water. 1. Follow your boating safety checklist. Your boat safety checklist is your key to ensuring a good time on the lake. Use your checklist to make sure you don’t forget important safety items. Be aware of your surroundings and what other boaters are doing. Watch out for wakes and other hazards like sandbars, submerged tree limbs, and debris. Take it slow in populated areas, and be conscious of your wake. At the very least, there should be one lifejacket for each person on your boat, and children should always have a lifejacket on. 5. Keep an eye on the weather. Just because it’s calm when you cast off doesn’t mean the weather won’t change. Check the forecast before you take your boat out and know what to expect. 6. Check your surroundings before swimming. Don’t let anyone jump off the boat before carefully checking the surroundings. There may be large rocks or other hazards in the water that are just deep enough to be out of sight, but still dangerous. 7. Be constantly aware of children. If a child is missing, check the water immediately. Seconds count. 8. Don’t drink the lake water. Lake water can be full of microorganisms, some of which can cause severe illness. 9. Know how to escape from strong currents when swimming. Everyone on your boat needs to know how to get out of strong currents. While this might not be an issue on a calm lake, if you’re boating on a river or in the Great Lakes, it can be a concern. The first step is to remain calm and don’t fight the current. Try to swim parallel to the shore or float until the current subsides, then call for help. The same goes for river currents: relax and go with the current. Swim toward shore if you can, but fighting against the current will only deplete your energy. 10. Know what drowning looks like. •Silent: There’s no spare breath to call for help. •Bobbing up and down: His mouth sinks below the water’s surface, pops up just enough to breathe and sinks back down. •Stiff-armed: Instead of waving for help, his arms are out to the side, hands pressed down on the water to keep him afloat. He can’t even reach out to grab a life preserver. •Still: He won’t be kicking. His body will be straight up and down, almost like he’s standing in the water. Any time you’re at the lake, safety tips are a vital part of having a good time. And the more you know, the more power you have to ensure the best time possible for you, your family, and your friends. Courtesy of Pekin Insurance, “Beyond the Expected”. Original content here.